Volkswagen continues to prove it is “the people's car” with a return to a multilink suspension and a promise to phase out the Beetle's weak base engine later this year, per driver requests. What's more, the window issue is officially fixed as of 2013, so an altogether lovable subcompact begins to emerge for 2014 with user-friendly controls, a good interior, decent economy and enviable style already working in its favor. Indeed, 2013 owners are so pleased they can't yet be bothered to stop driving their beloved Beetle long enough to leave a single review! The new base engine promises many improvements through a small boost in torque over the current naturally aspirated 2.5-liter 5-cylinder, capable of 170 horses and 177 lb-ft of torque. The new “EA888 Gen 3” engine offers 1.8-liters of turbocharged displacement for a match on horsepower but 184 pounds of twist, with the added perk of being built Stateside. It's safe to expect this one to dine on regular fuel as well but with an improvement on the 2.5's 22 mpg city/29 highway with the 6-speed automatic or 22/31 with the 5-speed manual and overall 9 seconds to 60 mph. It may adopt the Turbo's 6-speed manual with this change as well. In anticipation of this change, the 2013 Turbo becomes the Turbo R-Line for 2014 with all the cosmetic additions that come with it. There's also a special-edition GSR for 2014, complete with a black-and-yellow color scheme throughout. Both of these get the upgraded 2-liter turbo good for 210 hp and 207 lb-ft of torque—an improvement of 10 horses over last year that can only improve its already-good 6.6 seconds to 60 mph and fuel economy estimates of about 22/30, albeit slightly worse for the manual. The Beetle's most efficient TDI clean turbodiesel is expected to drop its sunroof option and a rear-view camera will join select option lists, but otherwise the lineup carries over unchanged, offering a convertible body style and PZEV-compliant versions across the board. Every 2014 Beetle also gains the same VW Car-Net now standard in every other V-dub this year, with the same first 6 months free of charge as well as the no-cost maintenance up to 2 years or 24,000 miles. That 2-liter turbodiesel powering the TDI is good for 140 hp and a whopping 236 lb-ft of torque with the same transmission options as the Turbo R-Line, but significantly better economy at 28/41 with the manual or 29/39 for the shiftable automatic. Just one note on these engines: Volkswagen claims to have the whole turbo thing mastered with about 5,000 miles between oil changes thanks to its specialized synthetic oil, but anyone who has owned a turbo for any length of time knows those oil changes are key to keeping the turbo clear. Whether the entry-level offering will still start below $20,000 is anyone's guess, but feature content is certainly up to par for a slight price increase, offering things like alloy wheels, heated windshield-washer nozzles, heated mirrors, cruise control, heated and height-adjustable front seats with lumbar support, Bluetooth connectivity and an 8-speaker sound system with CD player, iPod interface and auxiliary jack at its base for 2013. 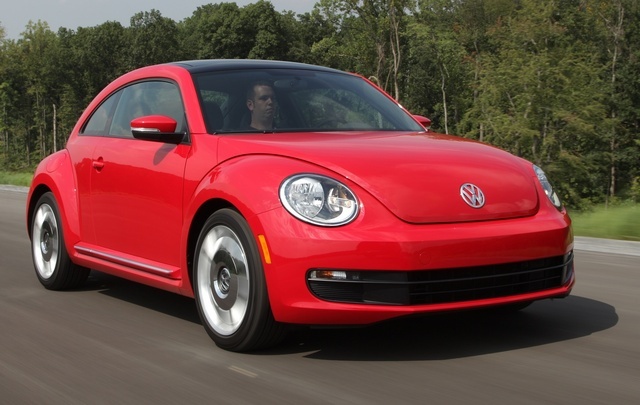 What's your take on the 2014 Volkswagen Beetle? Users ranked 2014 Volkswagen Beetle against other cars which they drove/owned. Each ranking was based on 9 categories. Here is the summary of top rankings. Have you driven a 2014 Volkswagen Beetle? 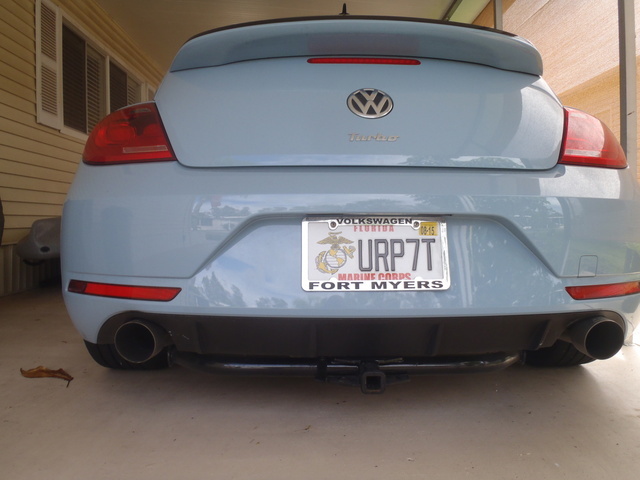 What Does PZEV Refer To In Regards To A 2014 Volkswagen Beetle?